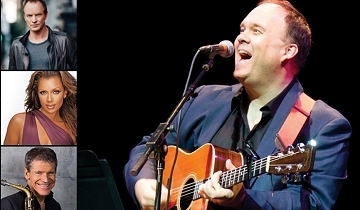 Only a few tickets remain for Rob Mathes Holiday Concert at the Schimmel Center on Sunday, December 16 featuring Rob and special guests Sting, Vanessa Williams and David Sanborn. You really don't want to miss this, so be quick if you want to attend! Rob and guests are also performing at the Performing Arts Center, Purchase College, on Friday, December 14, and Saturday, December 15, at 8:00 p.m.
Emmy® Award-winning personality, producer and talk show host Steve Harvey returns this holiday season to host FOX’S NEW YEAR’S EVE WITH STEVE HARVEY: LIVE FROM TIMES SQUARE, once again alongside Emmy® Award-winning journalist and TV personality Maria Menounos. The second annual live broadcast special, airing from the heart of New York City’s famed Times Square, airs Monday, Dec. 31 (8:00-10:00 PM and 11:00 PM-12:30 AM ET LIVE CT/MT/PT tape-delayed), on FOX. 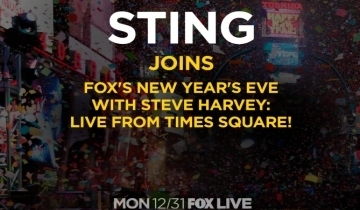 Harvey will count down to 2019 with an unmatched, star-studded three-and-a-half-hour primetime celebration, featuring an electrifying musical performance by 16-time Grammy Award-winning singer and songwriter Sting. 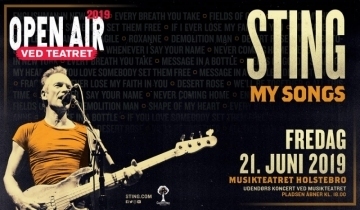 This year, Musikteatret Holstebro is able to present no less than Sting at the summer’s first Open Air concert on Friday 21 June. 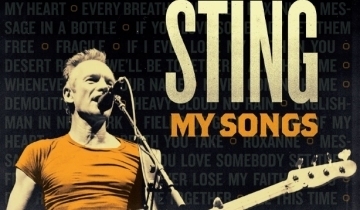 The concert is part of Sting’s “My Songs” tour focusing on the most popular and loved songs from the British legend. He has brought his iconic performances to Denmark several times, but never before has the British legend performed in West Jutland. Musikteatret Holstebro is now changing this: Come summer, you can experience the 67-year old musician live at the year’s first Open Air concert on 21 June in the centre of Holstebro. Cherrytree Management and Live Nation and Barracuda Music have confirmed that Sting: My Songs will tour Europe next summer with very special festival and concert appearances scheduled including a first appearance at Zámecký Park in Slavkov u Brna in the Czech Republic on 12 July and two performances in Norway in Beitstelen on 15 June at Beitostolen Stadium and on 19 June in Trondheim at The Big Challenge Science Festival 2019 at Solsiden Arena. 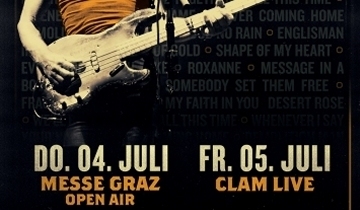 Cherrytree Management and Live Nation and Barracuda Music have confirmed that Sting: My Songs will tour Europe next summer with very special festival and concert appearances scheduled including a first appearance at Messe Graz on 4 July and a return performance at Burg Clam on 5 July, 2019. 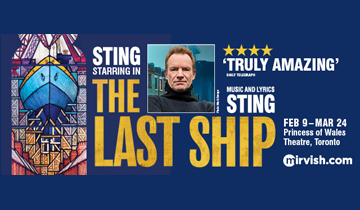 Tickets for Sting: My Songs at both festival dates will go on sale starting Monday, 3 December at 10am. There are no fan club presales for these two dates. Tickets will be available at musicticket.at, oeticket.com and all Oeticket outlets. 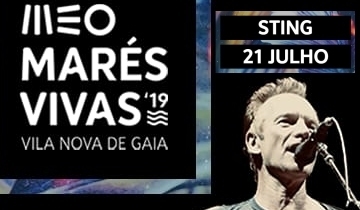 Cherrytree Management and Live Nation have confirmed that Sting: My Songs will tour Europe next summer with very special festival and concert appearances scheduled in Germany with additional dates to soon be announced. The latest show to be confirmed is an appearance at jazzopen, stuttgart on 11 July 2019.